Have a pool part or rent out the facilities for a corporate or special occasion. The Delta YMCA Program Center is located on the Bay College campus. Fitness classes are held in Bay College’s M-Tec Center. The Delta YMCA Program Center has a 6-lane, 25 yard indoor pool which is handicap accessible for member use. The YMCA offers both water fitness and swim lessons. 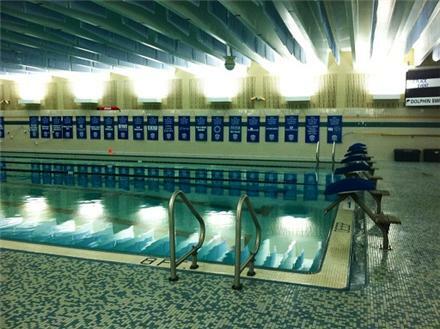 The NLY Swim Team and local high school practice and have home meets here. The Delta Program Center has a fitness center with Treadmills, Ellipticals, Machine Weights and Free Weights. The Delta Program Center has a college regulation gymnasium with bleachers and a climbing wall. The gym can be separated into two full sized basketball courts with a curtain down the middle. Bay College basketball games are held here. The Delta YMCA has both a Sauna and Whirlpool for member use. The Delta Program Center has men’s and women’s locker rooms with daily locker rentals and a shower area. In addition to these locker rooms, the center has special needs and family locker rooms.